An up close look at the friends and foes populating the game. Sega has released the first full batch of screenshots and artwork for Shining Resonance. The screenshots showcase a little of everything that’s known about the game so far with a particular focus on the battle system, which we’ve previously described as occurring in real-time and revolving around controlling dragons by way of music. A handful of screenshots are also devoted to some of the antogonists, particularly the Drag Machina, which we also covered a few weeks back. They’re a group of legendary dragons that have been forcibly brought back to life and are represented in these assets by the yellow and green Lightning Halbred Gungnir, the crimson-colored Red Lotus Spear Trishula, and the blue and purple Ice Spear Gae Bulg. Official English readings for some of the game’s terminology have also been released with these assets. The musical instrument / weapon hybrids that are used to control dragons in the game are now officially referred to as Armonics and those who can use them are known as Dragoners. These replace our previous unofficial translations of Dragon Instrument and Dragon Player respectively and we will as such be adhering to those terms from here on out. 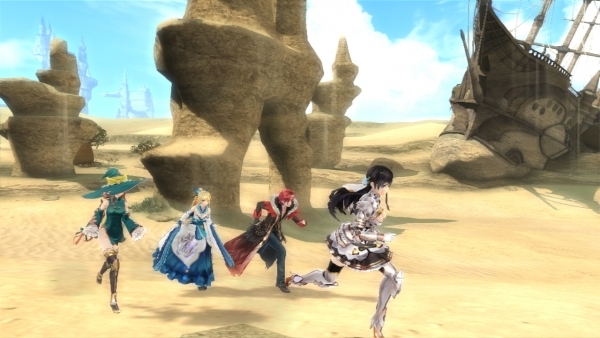 Shining Resonance is set to arrive in Japan on December 11 for the PlayStation 3. View the images at the gallery.